Trying to lose weight? Yeah, me too. I've gain quite a bit of weight since the new year and CNY, it's not very obvious but there are some of my favourite dresses and pants that I can't dress freely anymore. Plus, doing my masters/studying and working at the same time is really taking a toll on my health cause it's harder for me to find time to exercise. When I was purely just working, I'm out a lot which forced me to walk and move a lot. These days, working from home and studying often only requires me to sit and stare at my laptop for long hours and sometimes, all night. I also tend to snack a lot during my stress seasons, when I have assignment, thesis and work dues. Truly, not the best feeling on earth but I usually allow myself to do it because I need to fuel my brain in order to work on my assignments or thesis particularly. All these contributes to the factor of slowing down my metabolism rate, which obviously causes weight gain. This is where I'm trying out the NANO Reserva Red Wine, 1st non-alcoholic red wine to help loose some weight and hopefully, help me feel less lethargic during the day. When I was first introduced to this, I had my radar up when I heard the word "non-alcoholic" red wine. I don't know how is it possible but apparently, it has better benefits than actual alcoholic red wine. One glass of NANO Reserva is equivalent to seven cups of red wine health and beauty benefits. That sound pretty cool isn't it? This is manufactured by a company known as Nano Japan and it states that they use an advanced distillation biotechnology to create this non-alcoholic beverage possible. They use Pinot Noir grapes as they are black grapes that contains the highest amount of antioxidant. Drinking this is said to help accelerate fat burning up to 3 times faster and promotes better blood circulation. With better blood circulation, you can get a more radiant skin and better sleep quality. They also claim to have won Europe highest level of Monde Selections' Grand Gold Award for Beauty and Slimming drink supplement three years in a row. They recommended to drink 40-50ml everyday after meal, preferably lunch or dinner. Just unscrew the cap, there's no hassle of cork whatsoever. They do not have a special measured cup. So I usually just go with my guts. Personally, I prefer to have them at night just before I sleep because it helps me to sleep better at night. It taste similar to an actual red wine but without the strong alcohol after taste. It's light and taste close to a grape juice but way less sweeter. I love it, especially when it's chilled. Watch my A Day In My Life video to see how I consume the NANO Reserva Red Wine! I've consumed it for about 3 months now and I believe I've finished at least 4.5 bottles of these NANO Reserva Red Wine. I'm really not quite sure but the before and after picture looks pretty good. Although, yes, lighting and angle could have helped to achieve the toned look in the picture but I believe this drink did contribute a small factor in helping loose some tummy fat. What I'm most satisfied is the way it helped me to sleep better at night, I feel the warmth that runs through my body after gulping this down in one shot. Of course, this shouldn't be the only thing that your drink in hoping to lose weight. I still suggest having a balanced diet, reduce some carbs, and do some exercise. 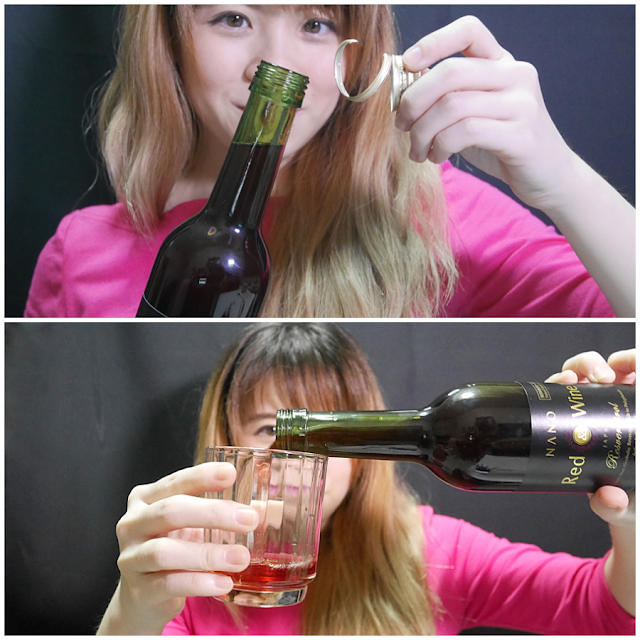 There are tones of simple 10-30 minute home exercises on YouTube and Online, just try them out along with this NANO Reserva Red Wine, I'm sure you'll see a better result overall in a long run. 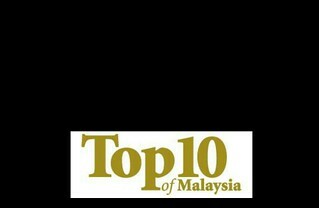 If you are interested, they are available on Qoo10 Malaysia and 11Street Malaysia. I personally think that it will only help enhance the "slimming" if you also exercise and control on food portion. I think it helps with digestion but definitely won't work if you don't use this with the accompany of exercise and controlled food portion. :) Hope this helps.